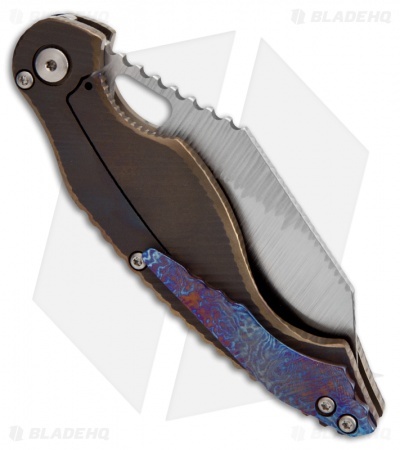 The Skin Walker is an impressive folding knife. 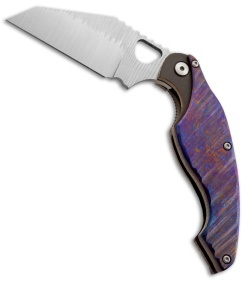 The handle has titanium construction with a decorative Timascus scale and pocket clip. The blade is CTS-XHP. Both the handle and the blade sport the murder pattern. This is an excellent piece and includes a signed certificate of authenticity.